The Grand Canyon airplane tour to the South Rim is the fastest way to get to the Grand Canyon South Rim of the National Park from Las Vegas. Consider taking this direct airplane tour if you are pressed for time. The flight time is an hour up and back, which is fantastic because it takes nearly 6 hours to drive to the Canyon. The South Rim, which is 270 miles from Las Vegas, is an incredible attraction. If you desire the “official” national park, then this is it! 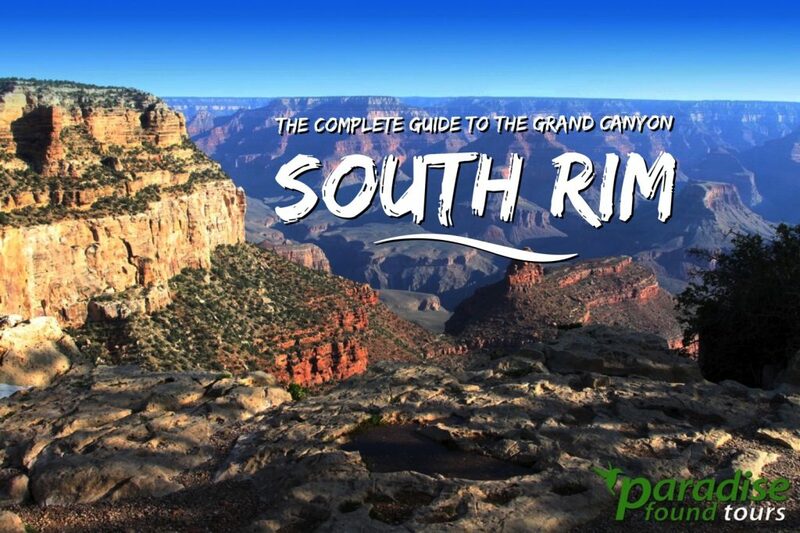 The South Rim, is home to spectacular views, incredible wildlife and historic turn-of-the-century buildings. And don’t forget the fact that you’ll be flying just south of the Colorado River the minute your plane departs from Las Vegas to the Grand Canyon Airport in Arizona. This is all Canyon country so consider it as an added bonus to what this value-packed trip already delivers! Once you touch down at Grand Canyon National Park Airport, you’ll transfer to a luxury motor coach and start the ground tour. This is a 2.5-hour adventure that starts by visiting the Grand Canyon Visitor Center. There you’ll disembark and head for Mather Point where you’ll see for yourself the deepest part of the Canyon (18 miles wide by 1 mile deep!). We suggest you make time to see Mather Point, Yaki Point, Yavapai Point, and historic Grand Canyon Village, home to Bright Angel Lodge, the Bucky O’Neil Cabin, Lookout Studio, Kolb Studio, the El Tovar Hotel and much more. And don’t worry about having your head stuck in a guidebook. Our guides are fantastic and explain everything you need to know. This is an all-inclusive tour and that means your trip includes a box lunch, free hotel pick up and drop off and all taxes, fees (including admission to the National Park). Once the in-Park part of the trip concludes, you’ll be transported back to the airport for the flight to Las Vegas. Shuttle gets you to Boulder City Airport for check in 30 minutes prior to departure. Fly with an airline that’s FAA-certified and #1 in safety. Deluxe flight in 19-passenger aircraft from Las Vegas to the South Rim. Flight time to the South Rim is less than 60 minutes. Incredible aerial views of Lake Mead, Hoover Dam, the West Rim and the Colorado River. Once at South Rim, deplane and transfer to a luxury motor coach. Sightsee all the key major overlooks with plenty of time for photos, exploration and shopping. Take time out to enjoy a box lunch prepared especially for you (vegetarian option available). Return to the Las Vegas. Transfer to shuttle & back to your Vegas hotel. Total tour time: 6.5 hours (door to door). Hotel Pickup: Includes free shuttle service to all major Las Vegas hotels. 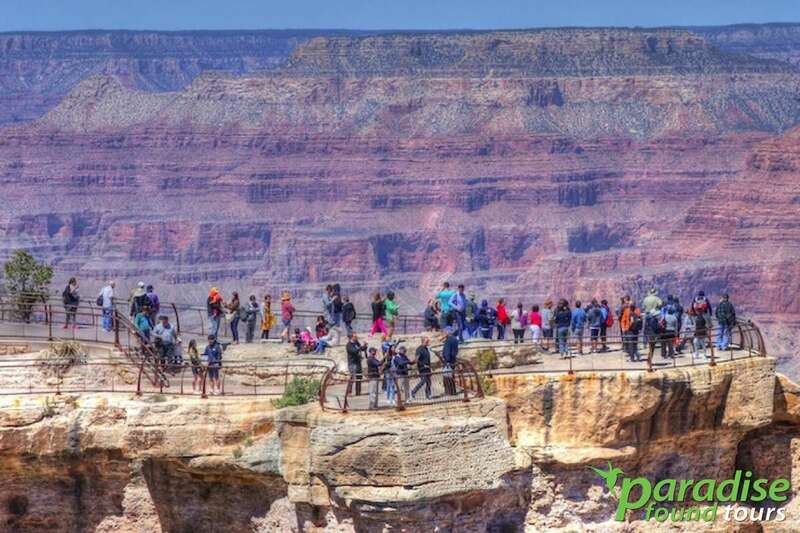 Pilots will determine if photography is allowed en route to the South Rim. All photography is for personal use only. No commercial photography is permitted and but can be arranged if you purchase a charter flight. One-way flights are NOT available. However, you can arrange to spend the night at the South Rim and fly back the following day. If you do this, you are responsible for arranging your own accommodations. 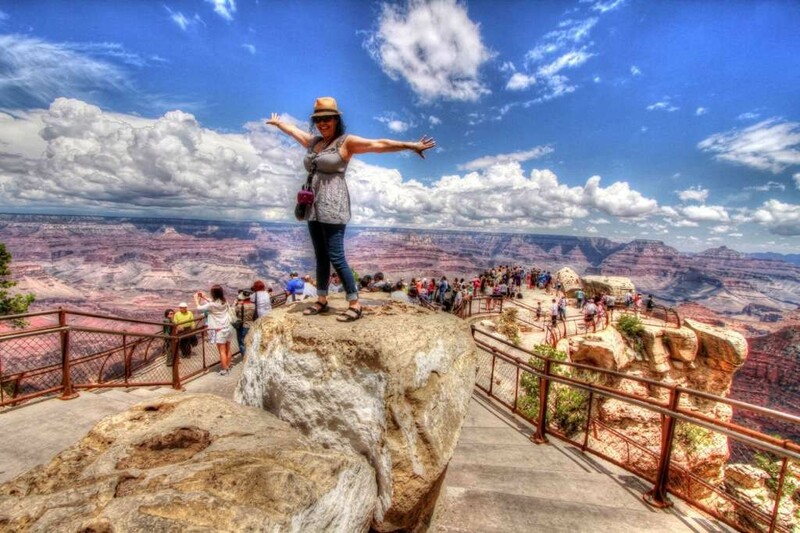 This Grand Canyon South Rim bus tour from Las Vegas is Paradise Found Tours’ best selling Grand Canyon bus tour. Enjoy free Wifi and hot lunch buffet on this luxurious tour to the South Rim of the Grand Canyon. It’s an all-inclusive package that’s loaded with value, so book in advance because seats sell-out fast!